The DMA Marketer Email Tracker 2018 report uncovered some crucial areas that marketers need to improve in if they want their email campaigns to succeed. As Dotmailer partners and email marketing experts, we’ve summarised the key takeaways of what marketers are doing wrong and provided solutions for how to fix these issues, so that you can ensure that you’re up to date with email marketing best practices in 2018. What if I told you that there was an easy way to increase your deliverability and boost opens and clicks…but many businesses out there aren’t utilising it properly, if at all? As marketers, but more importantly as smart business people, we know that all our decisions have to be informed by data. So why do half of organisations (47%) only test a quarter of the emails they send out? Conducting thorough tests on your campaigns before they’re sent is our top tip for email marketing best practices in 2018, because right now almost a fifth of respondents (19%) believe that their company has no competence in email testing. And in addition, 15% of respondents reported that their businesses do not conduct email testing at all, an increase of 8% compared to the previous year. If you’re not testing your emails they’re not optimised. You wouldn’t launch an advertisement without market testing it first so why would you hit send before thoroughly checking a campaign? Testing should be an integral part of the email marketing process that helps you weed out strategies that don’t work, so you can avoid making the same mistakes over and over. How do I get started with email testing? Email testing involves a wide spectrum of activities both technical and creative, but don’t worry, these processes are straightforward to carry out and many can even be automated if you’re using email marketing platforms like Dotmailer. Open your most recent email campaign on your phone, and then in the browser on your laptop. It’s a completely different experience isn’t it? Just because a campaign renders well on your preferred email client doesn’t mean it will appear the same for all of your customers. If you want the experience to be seamless for everyone, a cursory glance at preview mode isn’t going to be good enough. Avoid your messaging not getting across due to images not loading or text getting cut off by conducting inbox tests. Dotmailer has Litmus tests built-in so you can see a screenshot of how your campaign appears on all major email clients before you send it out. Litmus also provides a spam filter test which checks your campaign for red flags like a low text-to-image ratio and an overuse of trigger words so you can make the necessary adjustments and prevent the campaign you’ve worked tirelessly on from going straight to junk. An example of inbox tests. Split testing isn’t as technical or challenging as you may think it is. Platforms like Dotmailer and MailChimp make it easy for you to compare two or more versions of a campaign and determine which is the best for achieving your goals. This is an email marketing best practice as you can ensure the campaign you send out is the most optimised, and also capture data about what works and what doesn’t that you can use for future decision-making. So what types of things can you split test? Nearly everything in a campaign can be split tested, whether you’re optimising for opens by testing the effectiveness of a subject line, friendly from name, from address and preheader text, or trying to boost clicks by editing the content within a campaign like the layout, images and text. And the best part is that this process is easily automated! Simply configure the split test to send out the different versions of your campaign to a sample percentage of your subscriber list, wait a set amount of time and the version that best performed based on the metric you specified will automatically be sent to the remaining contacts. So you’ve finally got that coveted clickthrough but wait… a 404? It may seem like obvious advice but sometimes a final review will catch simple errors, like typos, that can make or break your campaign. With Dotmailer, you don’t have to manually test each link as they provide the status of all included links on the confirmation page before the email is sent. From this screen you can ensure that your contacts will be directed to the right landing pages, and make edits as necessary. You also want to make sure that all the links are being tracked by Google Analytics for future reporting. 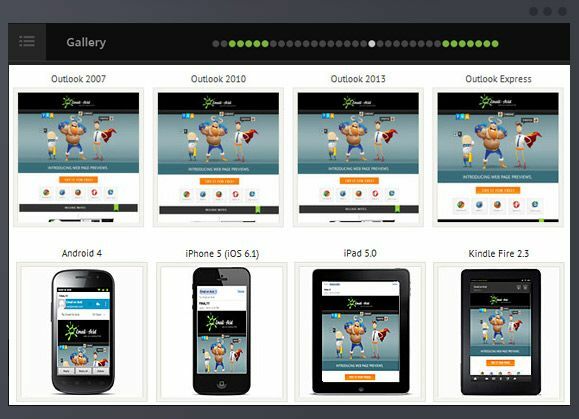 In accordance with email marketing best practices, other elements you should QA test are whether your pictures load. Corporate email filters are notorious for blocking images so especially if you’re a B2B business, you must confirm that you have alt text set in case your artwork does not appear. Also remember to perform some test sends to check your dynamic content. You don’t want merge tags to show, and you need default text in place so that if you haven’t captured a contact’s information for that field, it isn’t left blank. The DMA Marketer Email Tracker 2018 report uncovered a major disparity between the content that marketers believe will help them achieve their campaign objectives, and the content that consumers actually like to receive. While 36% of marketers uphold that content created by the brand such as videos, articles and magazines are important for accomplishing business goals, from a consumer perspective, only 4% of recipients enjoy these. Instead, there is significant potential for B2C businesses to craft content around loyalty programs and related rewards. Currently only 15% of marketers find this content useful, compared to nearly a third of consumers (30%) expressing demand for it. An email marketing best practice that we suggest is combining branded content such as new product updates, user guides and product reviews with loyalty reward campaigns. You can integrate loyalty programs like Smile.io (formerly Sweet Tooth Rewards) with Dotmailer, and then create segments and automated programs based on the rewards points consumers have earned. Issue a monthly rewards statement to let customers know how many points they have and how they can redeem them. Use this campaign to promote new products that you have available. Set up triggered emails that remind customers of vouchers and points that have yet to be redeemed and are about to expire to create a sense of urgency. Supplement these campaigns with favourable reviews for the products you want to push. Announce exclusive deals and sales to your VIP customers and provide them with user guides detailing the benefits of the new products that they could be the first to own. Just like how leading a horse to water doesn’t guarantee that it will drink, you can’t just leave a sign-up bar on your site and hope visitors will take the initiative to subscribe themselves to your newsletters – you have to offer them solid incentives. If you’re stuck wondering how to bring in new leads through this channel, you’re not alone. In fact, 45% of respondents saw their mailable list size stay the same or even decrease over the last 12 months. So what can you do when previous email marketing best practices for increasing sign ups like providing free gifts or a small welcome discount no longer stand out enough to significantly improve your subscriber growth? Similarly to how consumers reported that they liked receiving loyalty program reward content, this is also something that they would happily sign up for more of. Only 14% of surveyed marketers believed this was an effective method of gaining more subscribers, however the 46% of consumers who view this as an incentive to sign up highlight loyalty schemes as a promising method of boosting sign ups. Another major opportunity for growing a subscriber list exists in the use of competitions where 30% of consumers reported that they enjoyed such content, but only 16% of marketers found it to be effective. This demonstrates a need for improvement in the way these competitions are run. When designing a competition with the goal of increasing subscribers, one of the most important considerations is to offer a prize that is relevant to your niche so that you attract subscribers who will actually remain interested in your content once the competition ends. Sure millions would love to win the latest Apple product but your target market are the ones who would jump at the chance to win a ticket to the latest industry event. Further, make sure that all recipients will derive some benefit from the email in which you announce the winner. Promote content that has been popular in the past and highlight the best that your website has to offer in order to retain all these new subscribers in the long run. Campaign Monitor has great tips for building your email list using contests. In a similar vein, how can you hold onto the subscribers that you’ve worked so hard to gain? A great way to discourage someone from unsubscribing completely is the use of a preference centre. These give subscribers the ability to determine the content they receive from you and how often they receive it, which not only helps you retain contacts, but also allows you to target them more accurately. Early adopters of email marketing best practices have set the benchmark as now 17% of consumers expect to be directed to a preference centre and 9% to a survey when they unsubscribe. However only 7% and 2% of businesses, respectively, provide these measures. When your unsubscribe button immediately cuts off all future contact you may have with a subscriber, you have foregone the opportunity to ask them why they no longer wished to receive your messaging. The main types of preference centres are frequency-based and content-based, or a combination of the two. With frequency-based preference centres, subscribers can opt-out of receiving your campaigns for a set time period, or receive less emails from you ongoing. With 77% of email marketers already believing that there should be general policies that govern how regularly they can contact a customer, passing the control to individuals to set the standard for this frequency is an effective way of keeping your customers happy. Perhaps the most useful for marketers are content-based preference centres where subscribers can tailor the campaigns they receive by selecting their interests from a pre-determined list of topics. Essentially, they segment themselves for you and help you to deliver targeted campaigns that perform better. The preference centre is also a great avenue to promote your social media accounts as there are customers who may prefer to receive messaging via these channels instead. With these strategies in place, you can reduce unsubscribes, improve the relevancy of your content, and overall achieve your email marketing objectives. Contact us today to implement these email marketing best practices in 2018! As always Magento Commerce is paving the way, and with the help of progressive web apps, they are delivering a next-level mobile customer experience. Magento understands the e-commerce business like no one else, and to make sure you’re ahead of the curve they’ve already started developing to bring new capabilities for 2018. Here is everything you need to know about progressive web apps and how they can help your e-commerce store. With the wide range of devices we all use on a day to day basis, chances are you’re well versed in responsive web pages. But progressive web apps (PWAs) take it a step further. Even if you’re not familiar with the name, I’m almost certain you’ve come in contact with a few PWAs. PWAs are similar to responsive websites where content naturally fits the size of the screen it’s displaying on, but the range of capabilities and advantages of using a PWA instead of a responsive website are what’s causing such a stir. Every now and then you come across a website or an e-commerce store on your phone or tablet that makes you stop and think, am I still in the browser? This is a progressive web app. PWAs are websites that look and behave as seamlessly as apps but runs through your browser. This is fast becoming the new standard for building a modern UX. Magento Commerce, with the help of progressive web app technology, is creating a responsive, accessible and well-polished shopping experience for all consumers by integrating the latest innovations and merging the accessibility of the web. So what’s the difference between a PWA and a responsive website? You’ve probably realised by now that PWAs are more than JUST websites, but what are the main differences and how can they actually help your e-commerce store? Well, there are a few key features that progressive web apps are capable of, that a regular website just isn’t cut out to do. These features are what’s making them so popular among e-commerce stores and the online developing community alike, and why PWAs are the all-important key to unlocking your real potential. They’re not called progressive web apps for no reason, they actually function and run with many of the same features we have come to expect from a regular native smartphone app. Being an app, PWAs give you the ability to send push notifications to your customers. This gives you a higher level of engagement and eventually re-engagement with the customer. In an e-commerce sense, this is perfect because customers want you to know about them and personalise their shopping experience to them. Features like Push notifications allow your communication to be more contextual and personalised. Ensuring you are building brand loyalty and getting those elusive repeat sales. This is more than just Magento magic though; the ability to access your content offline is super important for reliability. Anyone running an e-commerce store will tell you that having a reliable website that your customers can always access is absolutely vital to your success. Why replace responsive websites with PWAs & What are the advantages for Magento merchants? Like most web development, progressive web apps aren’t a one-size-fits-all solution for all websites. They are ideal, however, for any site that updates regularly or requires real-time data to display. This fits e-commerce to a T! We touched on it briefly before, but there’s a wide variety of ways PWAs can improve the online shopper’s experience like no regular website can. Progressive web apps are currently compatible with most mobile browsers, which is excellent for Magento stores as it allows widespread access to your content. So, If you have any recent smartphone or device chances are you’re ready to access the world of PWAs. Many browsers already recognise the advantages of having PWAs on your device and provide simple options to add the site to your homepage. The app then sits with a user’s native apps, allowing for easier access to your content at any time. Yes, anytime! PWA’s can load while offline or with low connectivity which is a real benefit. I won’t go into the technical details on how this works but its thanks to a magical piece of script known as service workers. This means they’re ready whenever your customers are prepared to shop. According to KPMG, 52% of online shoppers said that offline channels are important for their brand awareness and to create trigger moments. When the PWA is accessed from the device’s home screen, the app can load instantly. This always-open access allows you to create a far better experience than shoppers can receive from brick and mortar stores. At a time when everyone wants everything 5 minutes ago, this feature is excellent for your UX. The ability to add your PWA to a device without the need for an app store improves the likelihood that those all-important return customers will actually download. After all, the web reaches three times more people than apps currently do. It’s clear that progressive web apps are more accessible and perform better than traditional websites but what about the other features customers want like one step checkouts? PWAs offer an even more seamless checkout process and expand upon the tenets that Magento has built into their OneStepCheckout process. For any mobile e-commerce, an easy to navigate checkout is a necessity. Not only is this great for your conversion rates and sales it can do wonders for your UX. The reliable performance and faster accessibility will drive traffic to Magento e-commerce sites utilising progressive web apps. Ultimately resulting in higher conversions and increased revenue. Websites are already being rewarded for their switch to PWAs. In the case of Flipkart, they saw their mobile conversions increase by around 70%. For any current Magento store looking to boost their mobile conversions, a PWA could be a simple solution. And just like that progressive web apps can integrate the best features of websites and mobile applications to build a second-to-none customer experience. As Magento rolls out this breakthrough in web development to the entire Magento Commerce community this year, it may be worthwhile to consider utilising these features. When you’re ready to take your brand to the next level, contact us to make sure you don’t get left behind.